Would is be possible to include a subpage on bitshares.com that summarizes network stats like https://stats.ethdev.com? 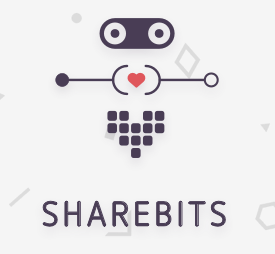 Don't get me wrong, http://bitsharesblocks.com is doing a great job, but just not presenting informations as sound and eye-catchy as https://stats.ethdev.com does it. Just an idea. You can run headless on any platform. what do you mean by "run headless"? When do we individually get to hangout with bytemaster and record the session for everyone else to hear later??? Dan, fair warning, when my time comes for a 1on1 hangout, we're (legally) smoking a fatty and then you're just going to talk for a full hour afterwards without interruption (other than the occassional, "whooooaaaa, duuuuude", from me in the background). I expect nothing less than mind-blowing brilliance from our 'hangout'. On a serious note, some of the questions asked in this thread were answered/addressed in the previous two sessions from what I remember (see above). 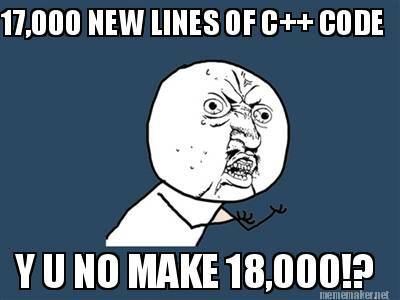 We have added over 17,000 lines of code. Man, this is worse than the Pepe market crash of 2015, countries were hurt! Quality is more important than Qtty. ...and you guys know exactly the 10 things that I want to see in the next version (whether the BitShares DAC uses them or not, my clients WILL use them). A successful company employs Workers who are driven, accountable and rewarded. Initially .. like two yrs ago .. we used as a meme of having interest on-the-blockchain ..